A grand debate is gaining traction in a virtual war for the eye of Washington policy analysts about the nature of the threat facing Iraq. The stakes are high: Whoever can define the threat can help shape the policy response. On one side are counterterrorist analysts. Because of risks, they are unable to conduct field research embedded with terrorist groups. 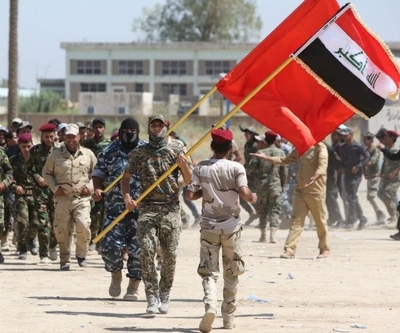 In the other camp are those who emphasize political factors in Iraq among Sunni Arabs, Kurds, and moderate Shiites. The press defines the threat to Iraq as the Islamic State (formerly the Islamic State of Iraq and al-Sham. If the threat is mainly the Islamic State, then military options, such as airstrikes, are feasible, though risky because Islamic State fighters embed within populated areas. Indicative of those whose focus is on the Islamic State is our Shadow colleague Paul Miller. He states that, "The Middle East is now a more favorable operating environment for jihadist groups than ever before ... [and they operate in] a wide swath of territory across Iraq and Syria that is essentially safe haven for jihadist militants." Miller is correct; at issue, however, is emphasis.